These tulips are sure to be attention-getters when they burst into bloom in mid to late spring. The large, 5" blooms are an eye-catching blend of pumpkin, salmon and apricot with a light frost overall. 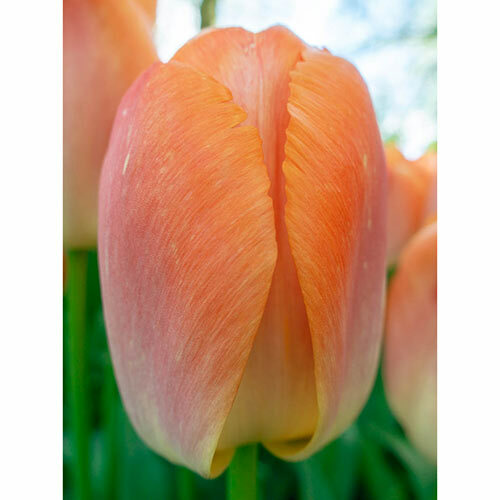 One of the best tulips for landscaping, Orange Pride tulips have strong, sturdy, 22" stems that hold up well in the garden and cut-flower displays. When planted in well-drained garden beds, Pride Tulips perennialize well—so you'll be rewarded with gorgeous displays year after year. Pride Tulips are sports of Darwin Hybrid Tulip Ollioules.